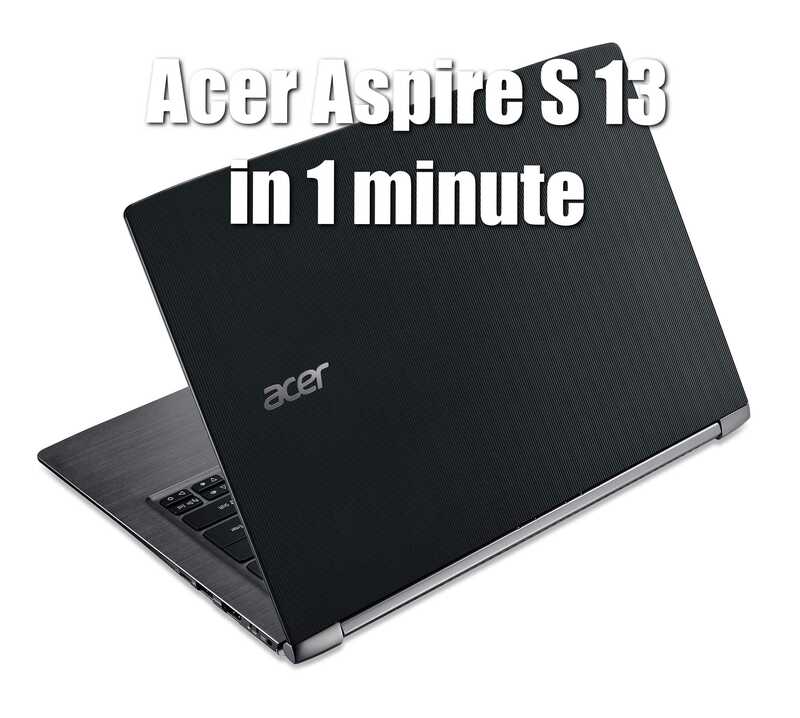 Acer has recently announced their latest addition to its ultra-slim S series notebooks, the Aspire S 13. This Ultrabook style device is a high end yet still respectively priced notebook with a premium finish, sleek chassis with a promise to be able to handle the demands of work and play. Running Windows 10 with the option of a 10-point touch display, the Aspire S 13 is powered by 6th Generation Intel® Core™ processors and up to 8 GB of LPDDR3 system memory, not only enabling fast performance and enhanced graphics, but also low power consumption. The optional 54 Wh 3-cell Li-ion battery lasts up to 13 hours, enabling users to get the most out of their machine every day. Wired connectivity comes in the form of a USB 3.1 Type-C reversible port which supports ultrafast transfer of data (up to 5Gbps) and also a USB 3.0 port which supports power-off charging for mobile devices, even when the Aspire S 13 is switched off. Wirelessly, the laptop enables users to utilize 802.11ac to its maximum effect with 2×2 MU-MIMO (Multi-User MIMO) for up to three times faster performance over single-user MIMO 802.11ac. Meanwhile, the Precision Touchpad enables an accurate, smooth and responsive navigation experience, and supports Windows 10 Precision Touchpad gestures. The Aspire S 13 offers the best of both worlds when it comes to work and entertainment capabilities. The Full HD touchscreen display with wide-viewing angle IPS technology brings immersive experiences for both movies and presentations, while Acer “BluelightShield” can be enabled to reduce the blue-light emission from the LED backlit module. In low light, the two stage adjustable backlit keyboard provides more options to suit the circumstances: first stage turns on the backlit keyboard, the second stage turns on the lighting to full luminance. Yhe Aspire S 13 is ultra-thin and lightweight, measuring 327W x 228D x 14.58H mm (0.57 inches) and weighing 1.30 kg (2.86 pounds). Available in Obsidian Black or Pearl White. Availability in North America in May with prices starting at $699; in EMEA this month with prices starting at €699; and in China in May with prices starting at ¥5,499. Exact specifications, prices, and availability will vary by region.